First time for the west to host this 1st Quarter 2014 International Thanksgiving, this event will mean a lot for us members of the Church of God in the bible. Although I was not given the opportunity to go to Brazil, here I was only in one of the monitoring centers in Isabela province, Philippines. Since the event is hosted in Brazil, it doesn't matter the differences in time. Coinciding the three-day event is Bro. Eli Soriano's 50th anniversary of accepting his holy baptism in the one true church he leads today unto salvation. A golden years of serving God and humanity. No matter what happen, in the years to come, that same man is highly determined to continue what was started in our country to the western part of the globe. Truly, his service is fully utilized in preaching the gospel around the globe. The first day of the event was the opening of another wisdom in the Bible. Topic is about friends of God in these last days. In this lecture, I learned that being friend with God, every secrets and His plan are revealed. Nothing is secret on being friends. Even from the account of creation was revealed to Moses, including the plan of God's salvation to human race. On the second day, Bro. Daniel speaks of the seven spirits of God. It's the sign that a true preacher of God in our time. These are the spirit of the Lord, the spirit of wisdom, understanding, counsel, might, knowledge and the fear of the Lord. Preachers of God are the recipients of His secrets even mysteries are manifested. In our time, God reveals these secrets in the person of Bro. Eli and Bro. Daniel which was hidden since eternity. The picture above amazes me so much as Bro. Daniel elaborates the seven spirits. The last day of the event was the offering of songs of praises to God from different places in the congregation. 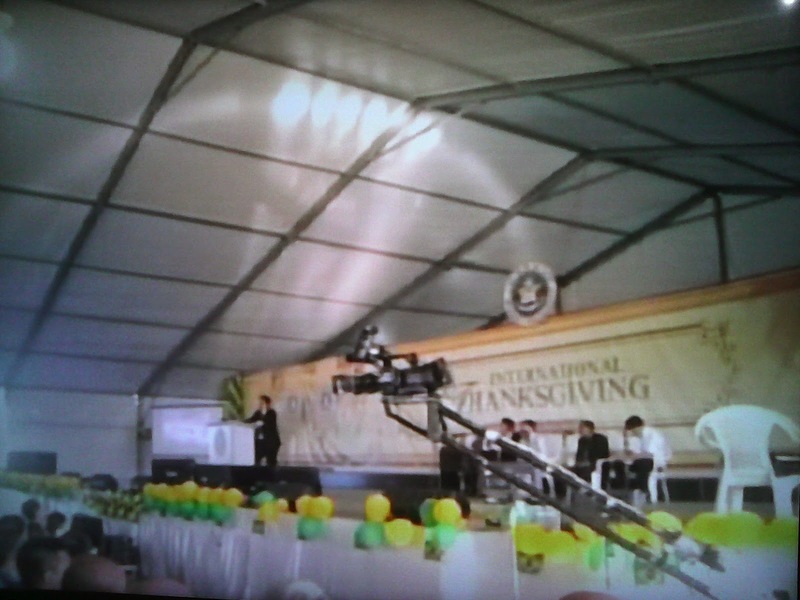 Various documentaries were played concerning the progress of the global evangelization of the church. Then follows the climax of the topic by Bro. Eli Soriano and Bro. Daniel Razon. The three-day event was not sufficient to discuss the whole topic which will be continued on Saturday. To God be the glory. I can't explain my feelings anymore! It's wonderful and fantastic! Until next time, God willing.